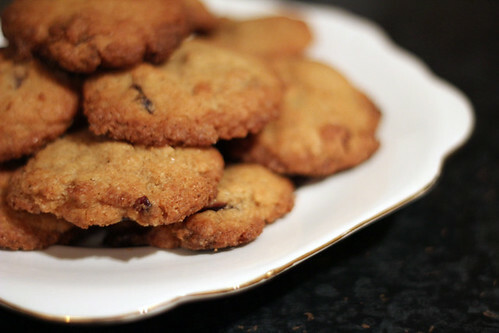 White Chocolate and Cranberry Cookies | Abandon Spoon! 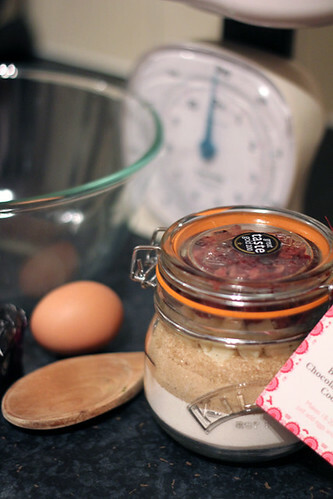 This recipe is not one of my own, it was a gift from a friend- the ingredients and baking instructions all put into a Kilner jar. All except the eggs. It looked lovely in the jar and I didn’t make this for some time as I just liked looking at all the colours in it. 2. Beat the egg in a separate bowl, then stir to combine. 3. 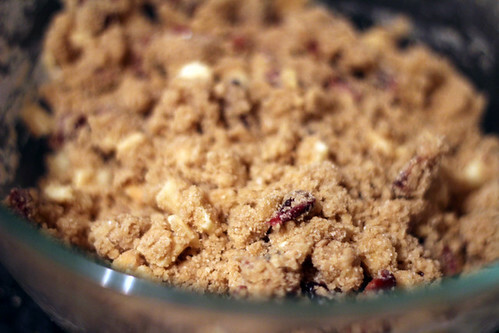 Add all the dry ingredients and stir to combine. 4. 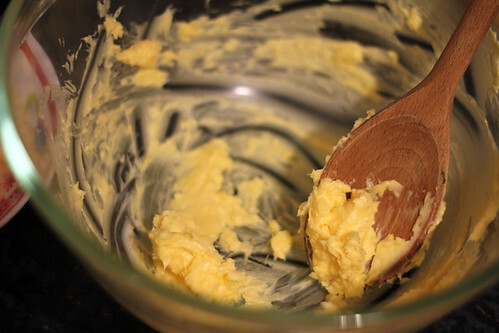 Place teaspoons of mixture on greased baking tray. Make sure they are well spaced. 5. Bake for 12-14 minutes in a pre-heated oven. 6. Leave to cool on the tray (if you can resist) and then enjoy. 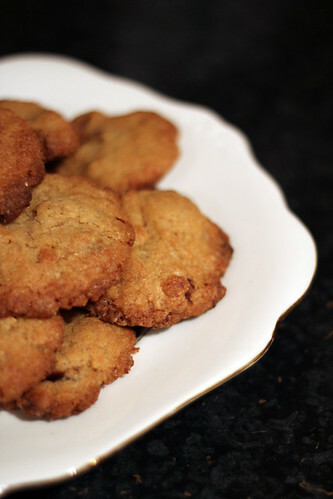 Flour, Sodium bicarbonate, white chocolate, light brown sugar, Demerara sugar, cranberries, vanilla sugar, salt.